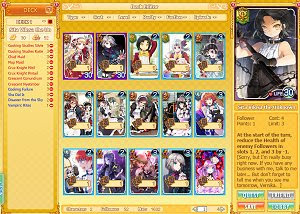 Sword Girls is a free-to-play online collectible card game with some amazing anime artwork and compelling gameplay. It’s a great game both for veterans of the TCG genre and new players alike, with hundreds of different and beautiful cards to collect and use, over 500 at the commercial launch, work of 30 experienced anime artists. Create a powerful deck and challenge other players, fight your way through dungeons and face impressive bosses. Regular updates add new cards and dungeons to the game and monthly tournaments will prove who the most talented player in Sword Girls is.